Search Engine Optimization - Magnetika knows just how important a strategic SEO effort is to attracting new customers to your website. Our integrated SEO strategies are designed to attract the right customers from Google Search Results. By taking an analytical, strategic, and user-focused approach, we can bring the “science of attraction” to your SEO efforts. It’s no secret that Google is one of the most lucrative places on the web to attract new leads and customers. But have you put in the time and effort to ensure that your website is doing all it can to show up for organic searchers? Our Search Engine Optimization (SEO) strategies focus on the “science of marketing attraction.” This means that we take an analytical, strategic, and user-focused approach to optimizing your website. We seek to combine the art of good content with the science that runs top Google results. The end result is more qualified traffic and leads coming to your site. Google is obsessed with bringing the best results to the user. But knowing how to fit yourself into that mix can be a complicated process. Our SEO strategies improve organic results through a combination of website optimization and user-focused content development. We achieve this through a time-tested process. We start with getting a very clear idea of who your audience is and what they are searching for online. Next, we seek to ensure that the website is optimized (both technically and in the content) against those user needs. Now it’s time to build excellent, best in class content. Finally, we seek to promote that content online so the right audience sees it. No SEO effort is complete without the proper tools to report on results. 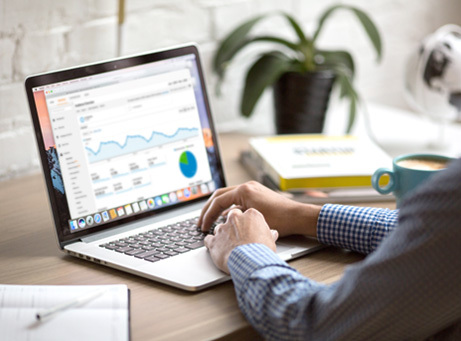 Our teams can help your set up, monitor, and track all digital efforts with advanced digital reporting platforms, such as Google Analytics, Google Search Console, and more.